Thanks to your feedback, Swimia has become in just several months one the most very important sites of swimming pools. Here you've all the info we know about ELIXIA - Braunschweig, in Braunschweig. 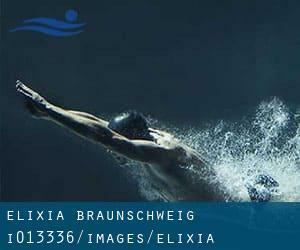 Don't forget you can also promote this pool so ELIXIA - Braunschweig will appear the very first of Braunschweig, or even the initial of one's country, contact us to know much more. Swimmers like you reported 20 meters, Indoors. Phone number and e-mail address are number for this Swimming Pool. Updated on 2019 Am Soolanger 1 , Braunschweig , GERMANY (Postal Code: 38104). This sports center gives 25 meters, Indoors. Contact info for this Swimming Pool such as phone number and email address are number. Updated on 2019 Bienroder Weg 70 , Braunschweig , GERMANY (Postal Code: 38106). This sports center delivers 25 meters, Indoors. Contact data for this Swimming Pool like phone number and e-mail address are number. Updated on 2019 Sachsendamm 10 , Braunschweig , GERMANY (Postal Code: 38124). Few days ago a frequent user of this center told us they offer Olympic size, 6 lanes, Indoors. Furthermore, they keep in good conditions 25 meters, Indoors. Contact information for this Pool such as phone number and e-mail address are number. Updated on 2019 Hauptstraße 46 c , Braunschweig , GERMANY (Postal Code: 38110). This sports center delivers 25 meters, Indoors. Contact information for this Swimming Pool like phone number and email address are number.